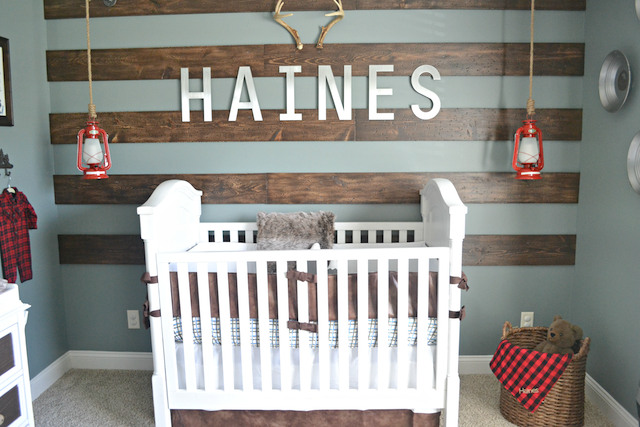 Fawn Over Baby: Celebrating My Friend's One Year Blog Anniversary + Giveaway! 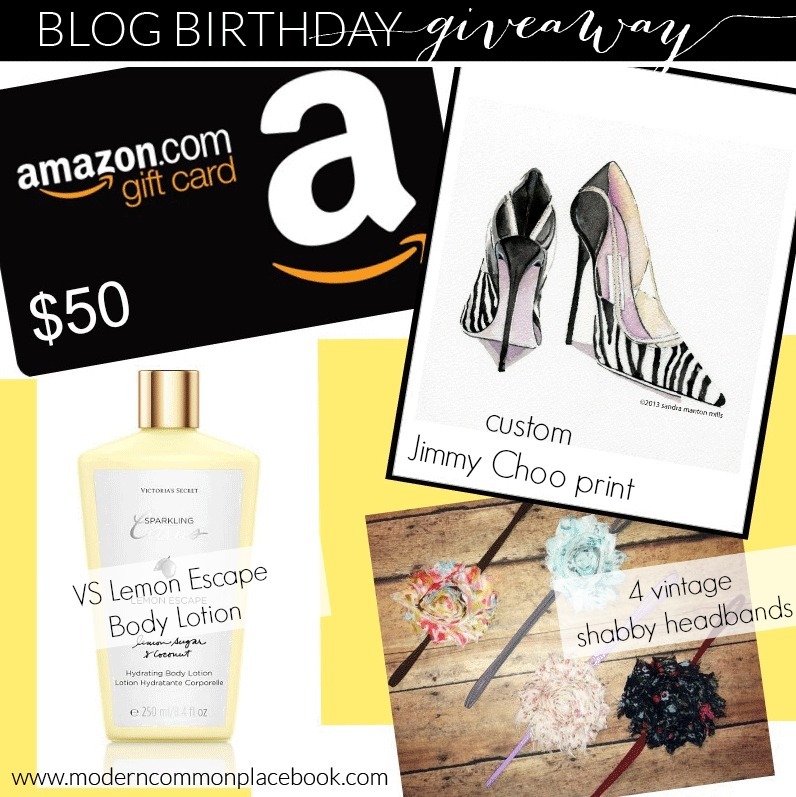 Celebrating My Friend's One Year Blog Anniversary + Giveaway! My friend Ginny's blog, A Modern Commonplace Book is turning ONE! 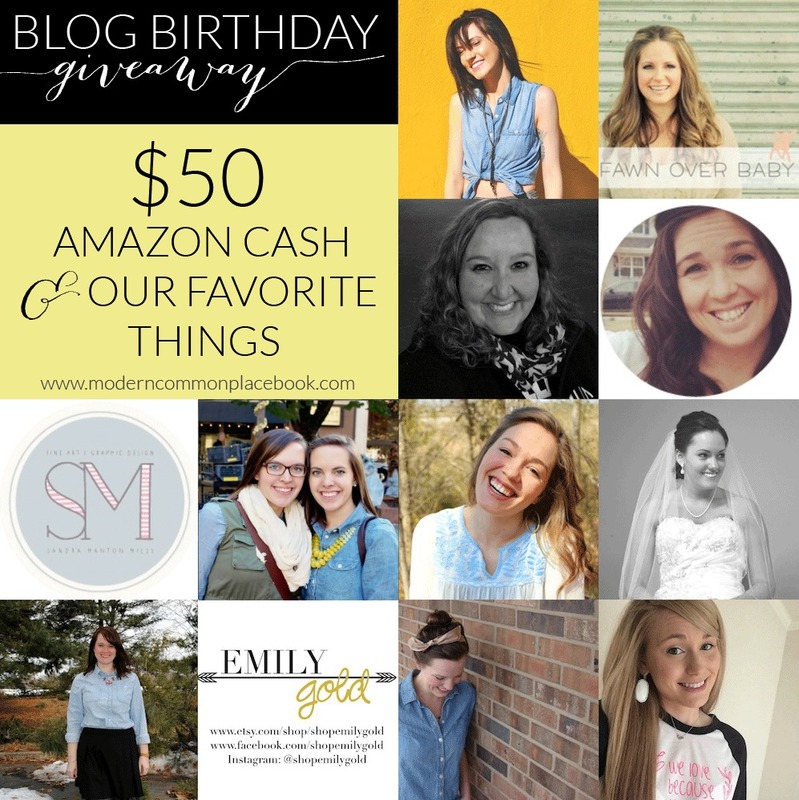 Because of her wonderful bloggy milestone birthday month, She has asked her favorite bloggers to help throw a fabulous birthday giveaway! This one's for you, my readers! Enjoy! This awesome giveaway could not be possible with these amazing women! I am truly grateful for all their encouragement, friendship, inspiration, and like-mindedness this past year. Make sure you stop each of their sites - and show them your thanks! 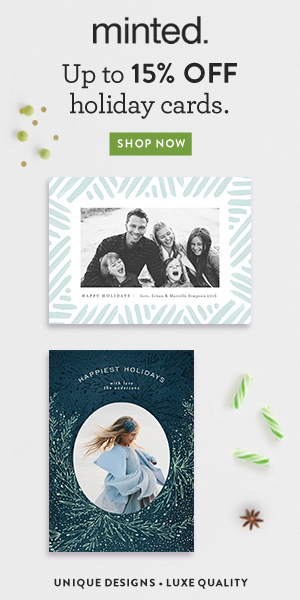 One lucky winner will receive a $50 Amazon gift card and three hand-picked (and hand-made!) boutique gifts! These gifts will spoil you! I am super excited to include the Victoria Secret Lemon Escape Body Lotion. This stuff is luxurious and like silk. The Custom Jimmy Choo print is from the awesome Sandra Manton Shop from the Sam and Duke Blog. Sandra is absolutely skilled - and this piece is simply stunning. We all need this hung in our bedroom! See other gorgeous prints here! The winner will also receive 4 vintage shabby hand-made headbands from the Emily Gold shop. You can pick the size (infant or adult), and there are tons of designs to choose from! See her beautiful Etsy shop and all her headbands here. Giveaway will run from 12:00 am EST on March 31st until 11:59 pm EST on April 7th. All entries will be verified, so be honest! Winner will be notified via email and will have 48 hours to claim their prize before a new winner will be chosen. Enter using the Rafflecopter below.